By Sam Baker – The health care law essentially strikes a deal with insurance companies: They are required to cover people with preexisting conditions, and they can’t charge people more based on those conditions. a defined window to buy coverage. The income annuity puzzle: Why don’t more people use them? By Mark Miller – Economists have long argued that there’s a perfect financial product for retirement: the humble immediate income annuity. But economists also talk about an “annuity puzzle.” Namely, if SPIAS are such a perfect retirement vehicle, why do so few people buy them? 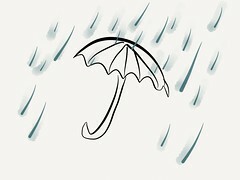 Sales totaled $7.7 billion last year, according to LIMRA, the insurance industry research and consulting group. That’s a drop in the bucket compared with IRAs and workplace retirement plans, where $5.3 trillion were invested last year, according to the Investment Company Institute. “To me, the paper points to the value of pairing an annuity with a long-term care insurance policy,” Michael Kitces says, partner and director of research for Maryland-based Pinnacle Advisory Group. By Linda Stern – In a post-Obamacare future, expect more employers to adopt defined contribution healthcare plans. Instead of providing coverage, they will throw a set amount of cash at workers and have them buy their own coverage on private employer-sponsored exchanges. That future isn’t here yet. By Ben Berkowitz – California is turning into a battleground for technology that allows auto insurers to track their customers’ driving behavior and offer them lower premiums, but that privacy advocates reject as an excessive intrusion with serious consequences. 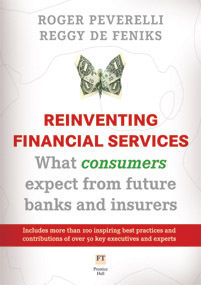 Reinventing Financial Services, Authors: Roger Peverelli and Reggy de Feniks. Editorial – Imagine you bought a house and, to insure it, you had to purchase coverage from the homebuilder. Then imagine a fire nearly destroyed the house, but your ability to collect the insurance depended on a committee of anonymous homebuilders meeting in secret to vote on whether to write you a check. If denied, the panel wouldn’t have to provide an explanation, you wouldn’t be allowed to review the minutes of closed-door discussions and you’d have no right to appeal. Not a great system. But not dissimilar to the one that governs the world of credit-default swaps. By Rick Ungar – The provision of the law, called the medical loss ratio, requires health insurance companies to spend 80% of the consumers’ premium dollars they collect–85% for large group insurers–on actual medical care rather than overhead, marketing expenses and profit. Today (12/2/11), the Department of Health & Human Services issues the rules of what insurer expenditures will–and will not–qualify as a medical expense for purposes of meeting the requirement. Selling me a health insurance policy is simply not the same as providing me with the medical care I am entitled to under the policy. By Parija Kavilanz – If you gloss over your benefits materials at open enrollment this year, you may be setting yourself up for a nasty surprise at the doctor’s office.